A trip to the dentist took me past City Hall again for the second time in a couple months. In December it had been probably a few years since I’d been able to get up close, thanks to the scaffolding in place to perform restoration work. 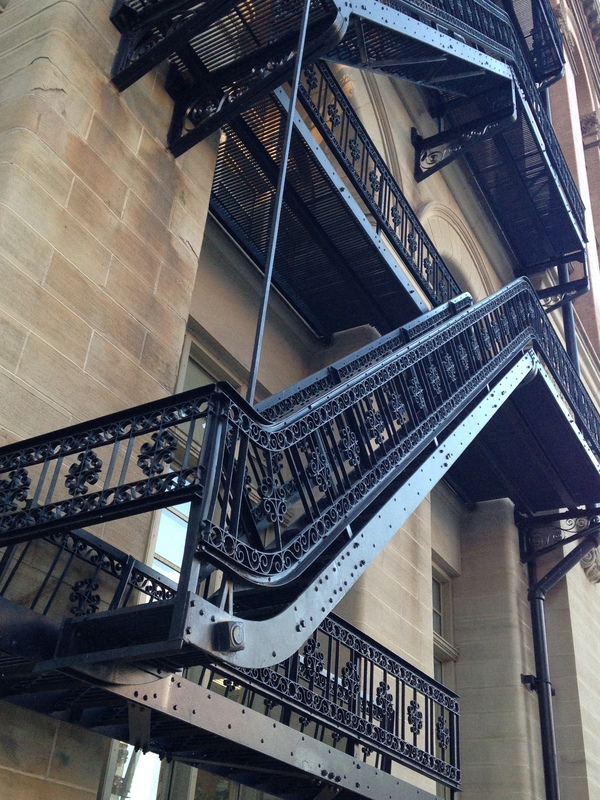 That afternoon I took a picture of the fire escape, which was so ornate it didn’t even look like a fire escape to me. A small version of the photo is below, but you can view the full-sized version here. 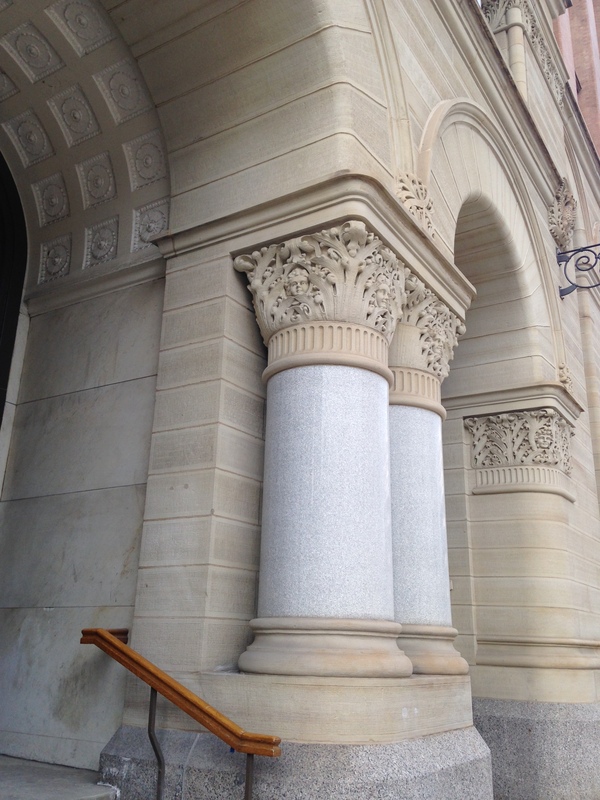 Today it was the columns flanking the side entrance on the east side of the building that caught my eye. Not the columns themselves, although I do love how that gleaming, white marble contrasts with the sandstone. 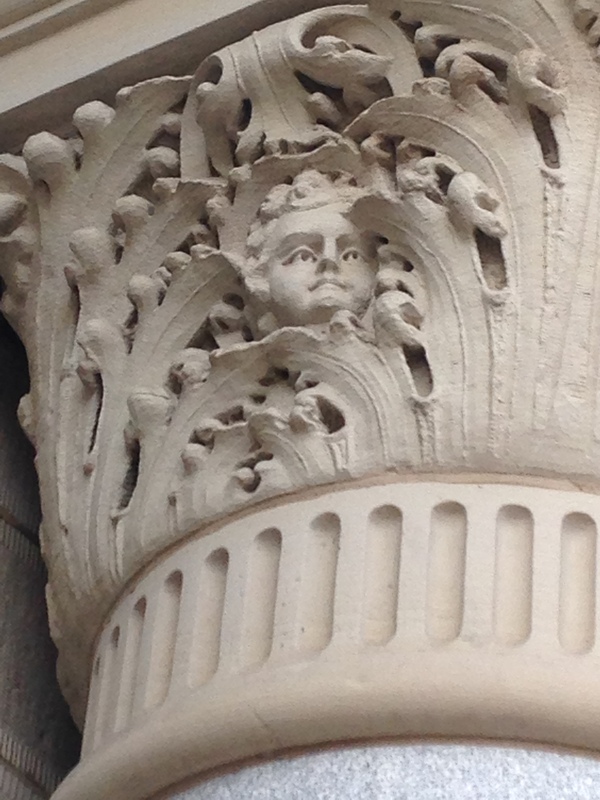 No, what I noticed today were the small cherub faces peering out through the foliage of the Corinthian capitals. 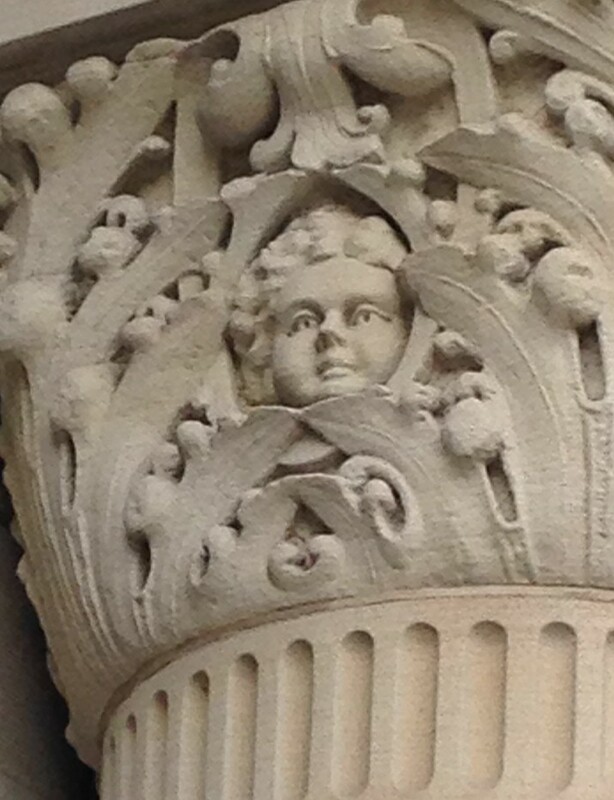 More cherub faces—all different from one another—can be found on each side of every column. For example, you can see three cherubs in the photo below. Milwaukee’s City Hall is such a treasure. I know I’ve said it before, but we are so fortunate to have this building! 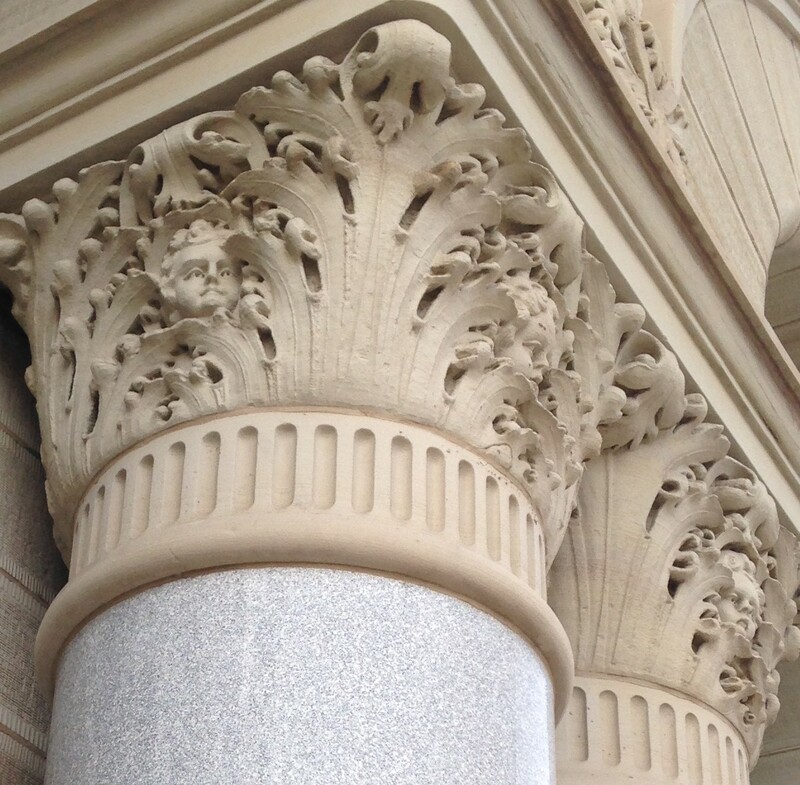 This entry was posted in architecture, Art, History, Life, Milwaukee, Photography and tagged civic architecture, classical architecture, coffer, Corinthian columns, hidden cherubs in Corinthian columns, Milwaukee, Milwaukee City Hall, Pantheon, sandstone. Bookmark the permalink. 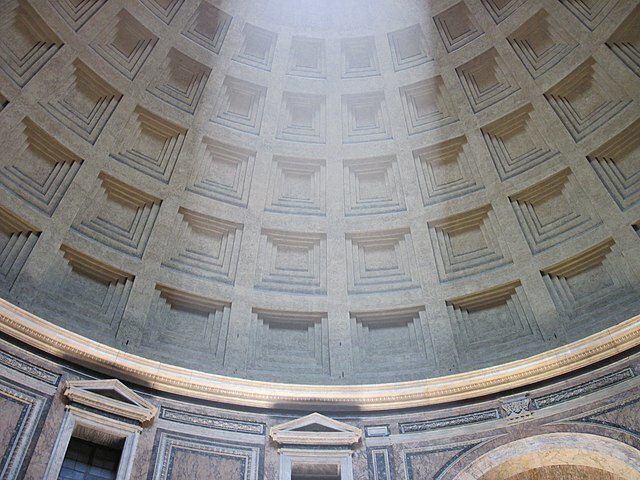 Wow that’s some beautiful architecture! Those little faces are so cute!! I never knew they were there! !